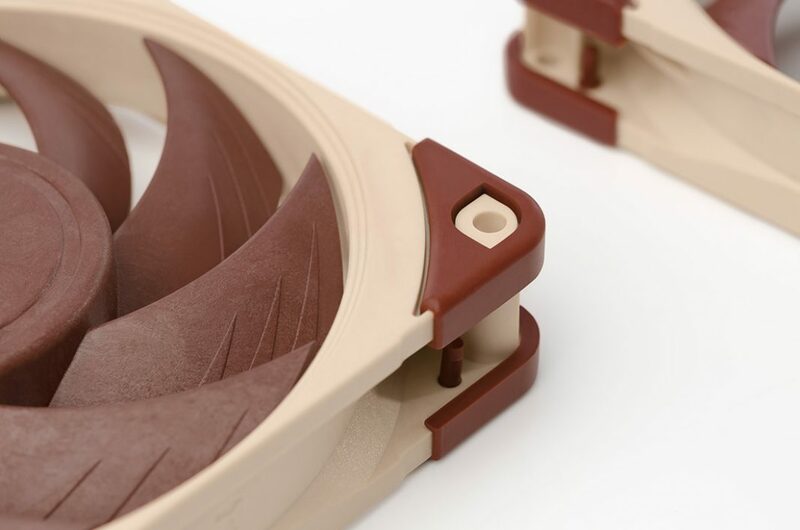 Noctua announced its new generation of high-performance fans, the NF-A12x25 and the NF-P12. The Noctua NF-A12x25 are available in no less than three versions: PWM, FLX and ULN, which means that each of these models will have a different speed of rotation and, therefore, higher air pressure and static pressure. All these fans have a lifetime of at least 150,000 hours of use, anti-vibration pads to avoid annoying noises, and are backed by a 6-year warranty . Noctua NF-A12x25 PWM: From 450 @ 2000 RPM generating an air flow of up to 102.1 m³ / h with a loudness of up to 22.6 dBA and a static pressure of 2.34 mmH2O. 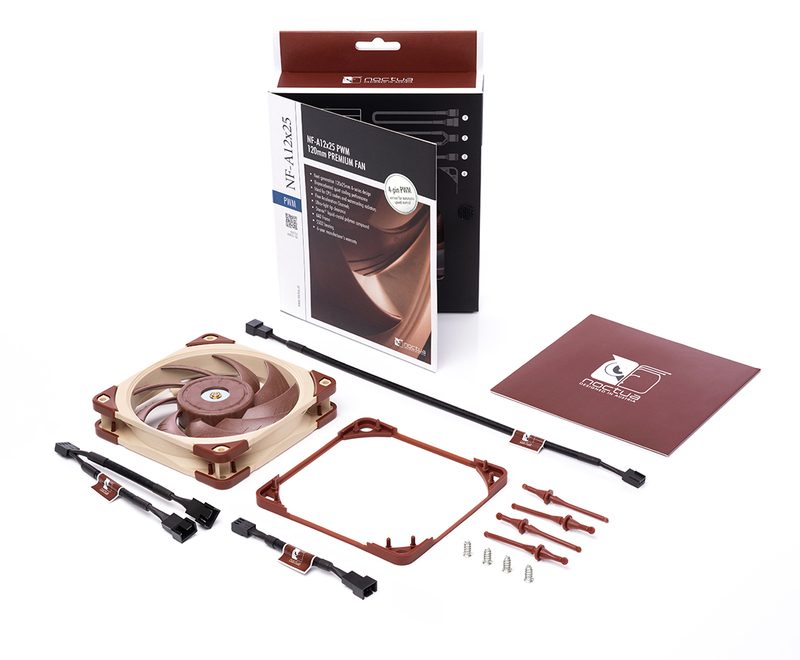 Noctua NF-A12x25 FLX: 2000 RPM; 1600 RPM with LNA (84.5 m³ / h, 18.8 dBA & 1.65 mmH2O) and 1350 RPM with ULNA (64.5 m³ / h, 14.2 dBA & 1.05 mmH2O). Noctua NF-A12X25 ULN : 1200 RPM with an air flow of 55.7 m³ / h with a loudness of 12.1 dBA and a static pressure of 0.82 mmH2O. The Noctua NF-P12 will be available in Redux versions of 900 and 1300 RPM; and PWM versions of 1300 and 1700 RPM. Of the PWM models there is no data on the official website, but of the one that rotates at 1300 RPM itself, knowing that it moves an air flow of 92.3 m³ / h with a static pressure of 1.68 mmH2O and a loudness of 19, 8 dBA. Lastly, the Noctua NA-SFMA1 is a framework where 120 mm fans can be installed in radiators of 140 mm, designed only for water cooling systems. The Noctua NF-A12x25 (any version) have a cost of $29.90, while the NF-P12 do it for $13.90. The NA-SFMA1 goes on sale for $11.90. All of these fans are listed on Amazon.